1. Create educational "tasks" or activities for students to do in the classroom. I've included a few examples below. Write the activities on slips of paper, fold them, and put them inside plastic eggs. 2. 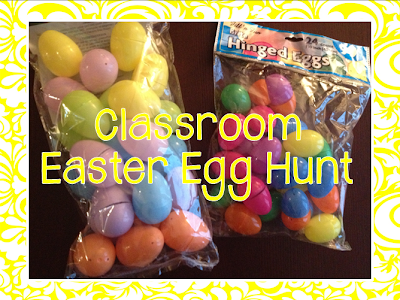 Hide the eggs around the classroom before students arrive. 3. Put students in groups of 2-3. Have each group hunt for ONE egg. As a group, the students complete the task inside the Easter egg. 4. Then, the group finds a new hiding spot for their Easter egg. This would also be a fun activity for "fast finishers!" I've included 8 fun tasks below, as well as a blank page for you to create your own! I love this idea - students hunting for their work and loving it! Thanks for sharing! Cute idea! 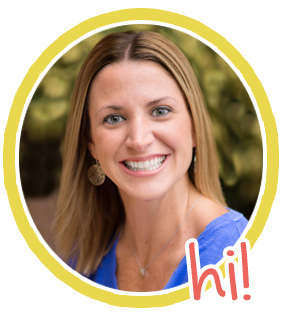 It's quick and easy to prepare, takes little time to set-up, and is fun and educational... what more could a teacher want? Thanks for sharing! I gave you a little shout-out tonight. Thought you might want to check it out! Thanks for your great ideas and for sharing! This is such a creative spin on an Easter egg hunt! Thank you for sharing! Love this idea! So adaptable for different classrooms and great for my ESL classes as well. Thanks for sharing!